Braced with a bachelor who had little to no furniture in tow, Décor Aid interior designer Jennifer W. helped him find his style while creating a functional and beautiful space for him to settle down in. 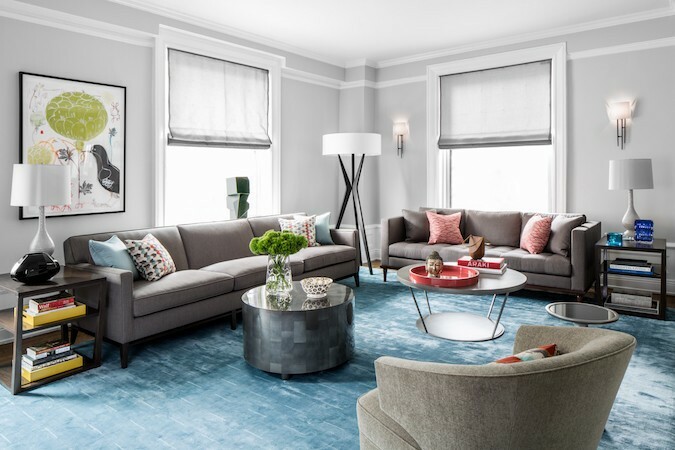 As a busy banker who found recent success after spending years working long hours, he was also looking to not only create an inspiring, beautiful, and well-judged home but also a grownup space to entertain friends in comfortable style. 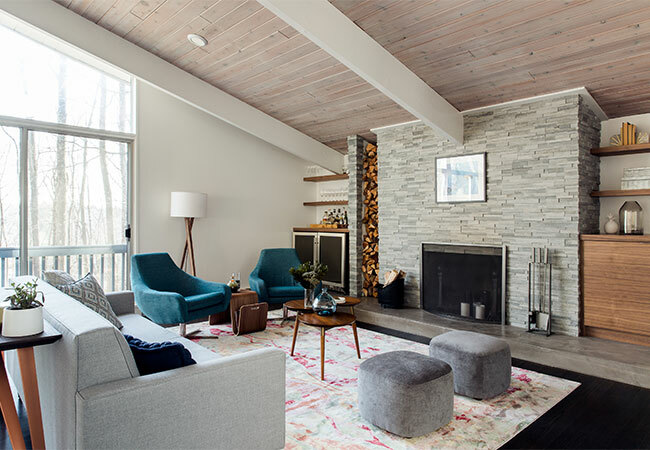 To keep the look easy on the eye and timeless in spirit, Jennifer went for classic Mid-Century Modern cues and since it is a petite apartment, she played with a juxtaposition of light fabrications and accessories paired with rich wood tones and accents for warmth. 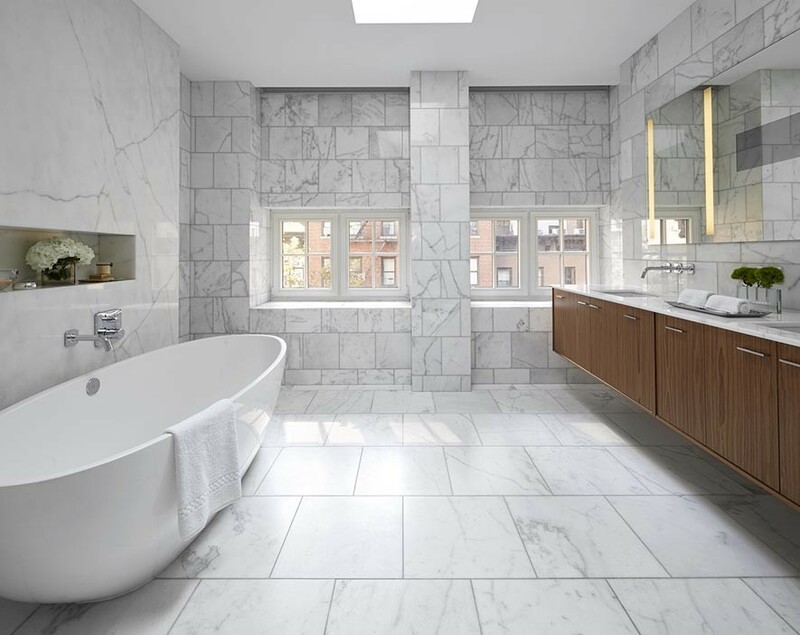 And as scale and dimensions are crucial in getting right in a small space, she guided him through the process so he could take comfort in knowing that she was getting her selections just right for the space. Working with a standard New York City new construction narrow floor plan, Jennifer kept the space open via a sectional from Design Within Reach that boasts a chaise lounge and made the best use of the space by taking advantage of otherwise dead areas along the walls with floating shelves and wall units, also from DWR. While the cube shaped accent chair situated in the corner to keep conversations flowing hails from BoConcept. And even though this space was specifically decorated for a bachelor, there’s no denying the clever fact that everything in it is gender-neutral for a subtle feel. From every single piece of furnishing to each decorative object, everything was sourced freshly for our client in order to help him create the ultimate oasis that will feel timeless in appeal for years to come. The end result is a bright and airy retreat that feels full of charm while remaining thoroughly minimal and complete with great design.